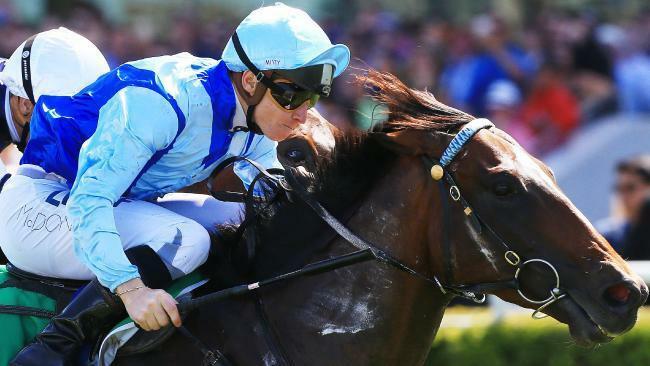 Versatile Australian racehorse Honorius will stand at for Knightsbridge in Australia in 2017 and in the Northern Hemisphere in 2018. 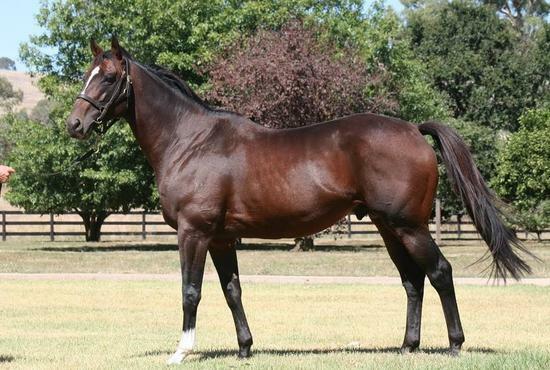 Honorius is a stallion with an impeccable pedigree and strong racing credentials. HOLY ROMAN EMPEROR (IRE) (Bay 2004-Stud 2007). 4 wins at 2, Curragh Phoenix S., Gr.1. Sire of 1110 rnrs, 735 wnrs, 71 SW, inc. Mongolian Khan (New Zealand Derby, Gr.1), Designs on Rome, Gentleman Only - Beauty Only (H.K. ), Homecoming Queen, Maraton, Sheidel, Rich Tapestry, Morandi, Rollout the Carpet, Salto Olímpico, Banimpire, Mango Diva, Charles the Great, Parvaneh, Angelic Light, Rich Legacy, Say it Again, Amarillo, Victory Laurel, etc. IGUGU (f. by Galileo). Horse of the Year in South Africa in 2010-11. Champion 3YO Filly & Middle Distance Horse in South Africa in 2010-11. Champion Older Female in South Africa in 2011-12. 10 wins from 1200m to 2450m, £7,955, R5,684,375, 645,920Dhs, Greyville Durban July H., Gr.1, Woolavington S., Gr.1, Kenilworth J&B Metropolitan H., Gr.1, Turffontein South African Fillies Classic, Gr.1, South African Oaks, Gr.2, Gauteng Fillies Guineas, Gr.2, Ipi Tombe Challenge, Gr.2, Johannesburg Spring Fillies & Mares Challenge, Gr.3, 2d Kenilworth Cape Fillies Guineas, Gr.1, Newmarket Rosemary S., L, Turffontein Emperors Palace Ready to Run Cup, 3d Meydan Balanchine S., Gr.2. HONORIUS (c. by Holy Roman Emperor). 4 wins. See below. Sweet Fire (f. by Shamardal). 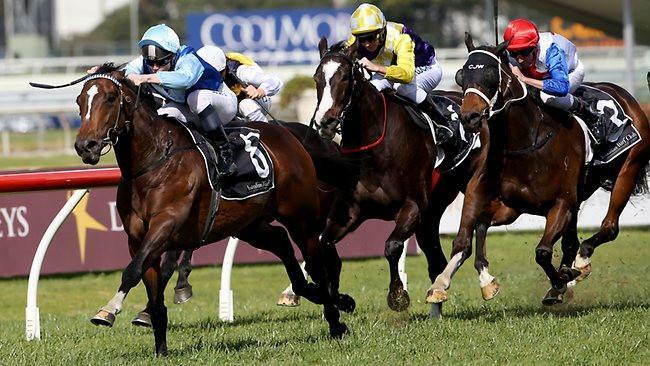 4 wins from 1500m to 1800m, A$231,750, ATC TAB Rewards H., More Than Ready at Vinery H., Hyland Race Colours P., TAB Place Multi H., 2d ATC Tab.com.au H., TAB Rewards H., 3d ATC Epona S., Gr.3, Schweppes H., Verrazano New at Coolmore H.
Ngaga (f. by Fastnet Rock). 3 wins at 1200m, 1600m, R228,125, in 2016-17, 2d Kenilworth Stormsvlei Mile, L, Ladies Mile, L, 3d Kenilworth Final Fling S., Gr.3. Lavish Lifestyle (f. by Holy Roman Emperor). Winner at 2150m in Aust. Strike Sika. 2 wins at 1400m, 1700m in 2017-18 in Aust. Zarinava. 5 wins at 2m, 16½f, Curragh Newbridge Parishes Charity Day H., Doncaster Mares' Hurdle, 3d Curragh Thalgo Ladies Derby H., Leopardstown Craobh Chomortas Na Marcach H., Deloitte Novice Hurdle, Future Champions Novice Hurdle, Fillies Scheme Hurdle. Zariyna. 3 wins from 9f to 1¼m, Curragh O'Briens Wines H., Leopardstown Irish Stallion Farms Fillies H.
Zarif. 6 wins from 3400m to 5800m to 2017 in Czech, 3d Pardubice Velká Pardubická S/chase-twice. ZAYYANI (Darshaan). 3 wins-1 at 2-at 7f in GB and U.S.A, Newbury Greenham S., Gr.3, 2d Royal Ascot King Edward VII S., Gr.2, 4th Newmarket Dewhurst S., Gr.1. Sire. ZERPOUR (Darshaan). 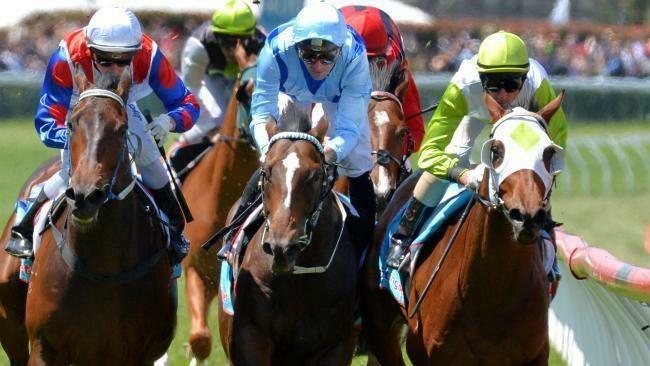 7 wins from 1400m to 2500m, £6,636, A$349,600, VRC Queen Elizabeth S., Gr.2, Werribee Cup, L, Newmarket NGK Spark Plugs S., QTC Eton Hall H., Seekers Gold H., 2d VATC Sandown Classic, Gr.2, Eclipse S., Gr.3, 3d VRC Scalzo Food Industries S., L, 4th VATC St George S., Gr.2, Coongy H., Gr.3. Sire. ZAFZALA (Kahyasi). 2 wins-1 at 2-at 6f, 1½m, Leopardstown Ballyroan S., L, 2d Curragh Pretty Polly S., Gr.2, Blenheim S., L, Athasi S., L, 3d Longchamp Prix de Royallieu, Gr.2. Producer. Zabadi (Shahrastani). 11 wins from 7f to 21¾f, £112,295, Aintree Glenlivet Anniversary Hurdle, Kempton Adonis Juvenile Hurdle, Newbury Gerry Feilden H. Hurdle, 2d Leopardstown Ballysax S., L.
Hello Fuji (Dansili). 3 wins-2 at 2-at 1200m, 1500m, Deauville Prix de la Durdent, 2d La Teste Criterium du Bequet, L, Maisons-Laffitte Prix de Maysel, 4th Toulouse Prix Aymeri de Mauleon, L. Producer. SIR ANDREW - HELENE PARAGON (H.K.) (Polan). 8 wins-1 at 2-from 1400m to 1800m, €105,700, HK$25,781,250, to 2016-17 in France, HK and Spain, HKJC Stewards' Cup, Gr.1, Queen's Silver Jubilee Cup, Gr.1, Premier P., L, Sha Tin Mile Trophy H., Macau H., Pacific Ocean H., 2d HKJC Longines Hong Kong Mile, Gr.1, Sa Sa Ladies' Purse, Gr.3, Grand Criterium de Bordeaux, L, HKJC Pok Oi Cup, 3d HKJC Champions Mile, Gr.1, Chantilly Prix Jean Prat, Gr.1, Maisons-Laffitte Prix Djebel, Gr.3. THANK YOU BYE BYE (Zanzibari). 6 wins-2 at 2-from 1400m to 2200m, €189,300, to 2017, Chantilly Prix Casimir Delamarre, L, 2d La Coupe de Marseille, L, Grand Prix de Fontainebleau, L, 3d Chantilly Prix d'Aumale, Gr.3. Race Record: 45 Starts 4-5-4 A$565,750. 4 wins-2 at 2-from 1400m to 2000m, A$565,750, ATC Craven P., Gr.3, Calmsley Hill City Farm Juvenile P., Clubsnsw Spring Preview H., Australian Turf Club 2YO H., 2d ATC Gloaming S., Gr.3, Frank Packer P., Gr.3, Kingston Town S., Gr.3, MRC Norman Robinson S., Gr.3, ATC Octagonal H., 3d BRC Queensland Derby, Gr.1, ATC Spring Champion S., Gr.1, BRC Grand Prix S., Gr.3, NSW Tatt's RC Ming Dynasty H., L, 4th ATC Carbine Club S., Gr.3, MRC David Jones Cup, Gr.3-twice.